Rubén Martín Hernández has a quick, mischievous grin and sparkles with enthusiasm and energy. 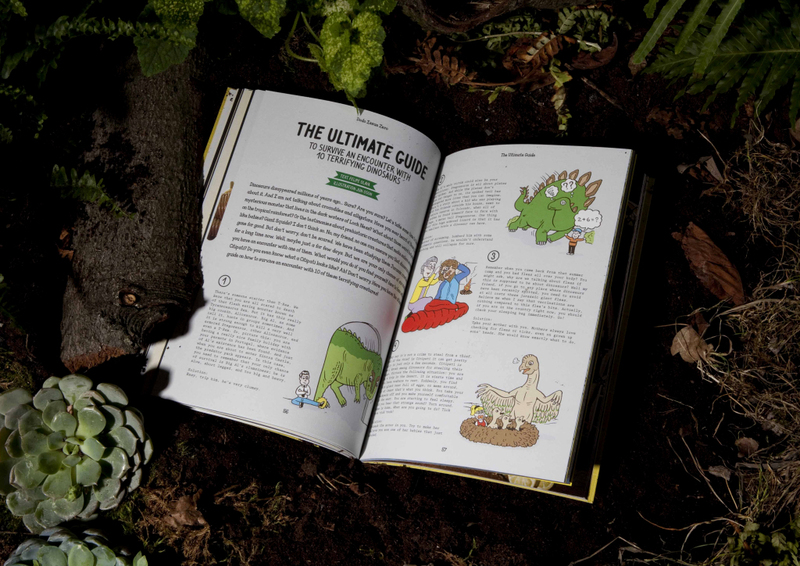 Rubén pours that energy into Dodo Magazine, his self-published adventure, science and fantasy magazine for anyone with an inquisitive mind and joyful sense of discovery. 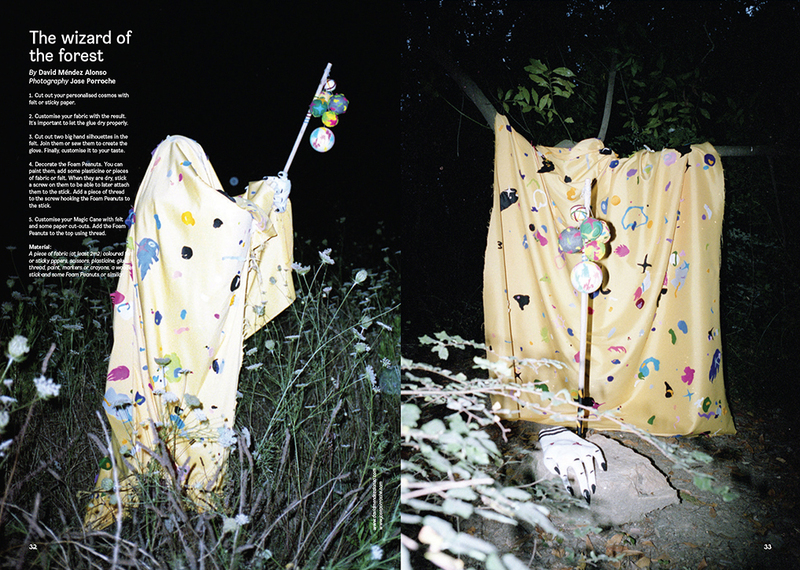 Dodo Magazine is part of his new platform Dodo Laboratory, which brings together his various collaborators to develop projects, host events and work with brands. A sense of fun coupled with slick design connects the projects, and was also reflected in his store attack project as part of 180 Creative Camp. 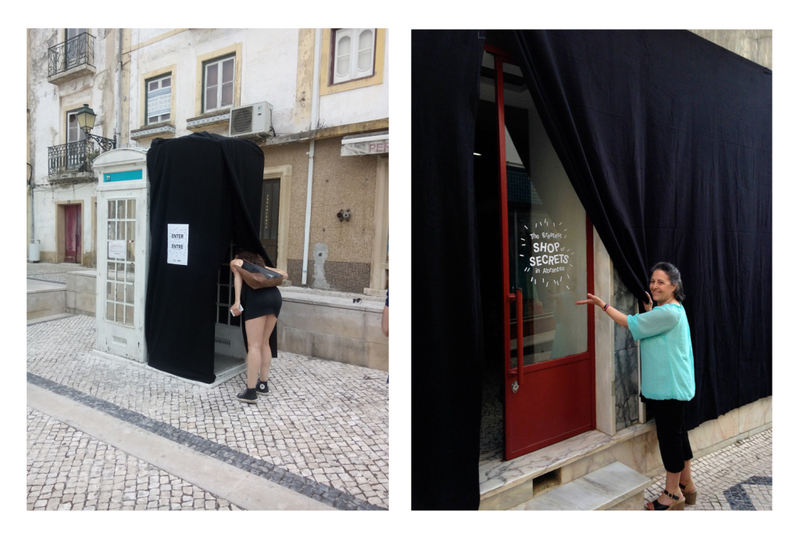 Entitled, ‘The Greatest Shop of Secrets in Abrantes’, Rubén invited people from Abrantes to divulge their secrets, converting a telephone booth into a kind of shrouded confessional for writing down their anonymous secret. Working with the owner of a store selling second-hand and new homewares and trinkets, customers who bought an item from the store would, for one night only, find a secret from one of the townspeople tucked away in their newly purchased item. Originally from the north of Spain, Rubén has been based in Berlin for the last two years. We first met over coffee and brötchen at Berlin’s Betahaus, when he presented Dodo Magazine at one of their monthly Betabreakfasts. Rubén’s years of experience in advertising was clear in his friendly and professional presentation of the magazine’s latest Past/Future issue. Rubén was a fellow selected participant of the camp, and sitting among the fallen oranges from the public trees in a central Abrantes plaza, he explained his delight in collaboration, experiences in self-publishing, and his dreams for the future. JUDITH CARNABY: Why did you decide to make Dodo Magazine and how did it begin? RUBÉN MARTÍN HERNÁNDEZ: I think the magazine started the day I was born, because it is a very personal project. Everything in it, the articles, the illustrations, is something I am very passionate about and that I really feel like are mine, so I guess it is the magazine I have been waiting for my whole life! The name comes from the dodo, an extinct bird that used to live on Mauritius Island. They were very stupid birds, but at the same time they were very happy. No one disturbed them on the island until men arrived and in a short time they became very easy food for the new animals, like dogs, so they disappeared very quickly. I decided to bring back that bird, as well as other things that I also think have been forgotten, like paper. That’s why I decided to make it paper, and it’s not an online magazine. The content has a similar sense of rediscovery, and especially a sense of adventure, to wake up and to feel like there is so much to discover, and not just staying in the city. Or even if you are in the city, to try and see things in a different way, in a more creative way, or a more childish way. I wanted to make something really positive and inspirational, that when people read it they feel like they can be whatever they want to be, like a dream. And that’s how the magazine was born. You’re Dodo Magazine’s Founder, Art Director, Editor; almost everything apart from generating the content. How do you connect with the contributing writers and artists, and do you enjoy collaborating with others on this magazine? Being able to work with people I truly admire is the thing that I like the most about the magazine. But I don’t just work with people who are well known; I also work with people who are starting, with people I don’t really know, or know much about their work, but who have sent me an email about being part of the magazine. I am happy to give them the chance to be in a place where they really want to be. They can be young, or they can also be old. For example I work with a guy that is 50-60 years old who has always lived in his home town, a very very small village. When I saw his pictures, I fell in love with them and I asked him to be part of the magazine. He was very happy to be part of it, because he has never had the chance to show his work to a wider audience. For me it is a real pleasure. I am not a very talented illustrator, or a very talented photographer, I just have ideas, and I like to bring together my ideas with people who are really crafty with things. Being able to make something together and being able to meet people who are extremely talented, is something I could never imagine, I mean it’s my dream come true. I feel so grateful to these people, and feel like I have to work more to promote it because although I am all of these things, the art director, the designer; I feel like this magazine is made by all of the collaborators. I am working for them. So even though it is also a personal project, I see it as a collaborative project. Do you have a particular aim and focus for the magazine? How do you want the magazine to grow? I’m not quite sure. I never thought of Dodo as a monthly magazine, not even a six-monthly magazine. At the time when I made the first issue, issue zero, I didn’t know that there was going to be another. Now I am just going with it, step by step, and exploring the possibilities because it is growing every day. If you look at the three magazines, even though the have the same spirit, they are evolving and following their own paths. It is a magazine for explorers, and I want to explore with the magazine. I really want to investigate different ways of making editions, books and magazines, because I think that if you want to create something powerful, you have to work hard to make it. And also I just want to make things fun! 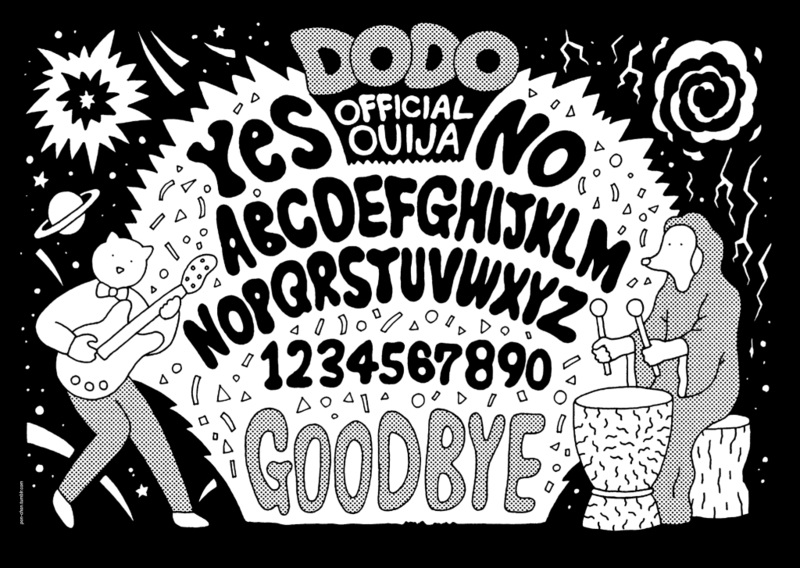 Detail from Dodo Magazine, ‘The Zero Issue’. Did you work with other designers and artists to develop the style of the magazine, or did you create everything yourself? In the art direction of the magazine, I started making it by myself, so I made a lot of drafts. I was constantly checking fonts and also working with a lot of references that I like. For example the most important reference that I have is a market. I love that feeling when you go to an old market full of books and old magazines. I am interested in things made in the past and that are not following a trend, and I really like the free spirit that used to exist, when people couldn’t go online and see what was going on. Another important reference for me are the books I read when I was a child; like guides for how to be the perfect spy, or choose your own adventure stories. I am really into those, and I think it’s a very Dodo spirit. So I started making it by myself, but then a friend of mine who is an illustrator and graphic designer, Jacobo Labella, he helped me with the colours and the layout and in developing the rest of the design and the style of the magazine. What role do illustrators and illustration have as part of the publication? Illustration… If I had to choose one discipline in Dodo that is the most important, well there would be two, or three..! But illustration is one of the most important disciplines. I think that illustration is the perfect tool to communicate what I want to communicate with it. The covers are always going to be illustrations. On the inside, I really like the pages where someone is telling you a story and you can see it illustrated. It is different to a photograph because it is not real, so it allows you to imagine what is going on, but at the same time you see it in the unique style of someone, as someone’s interpretation. I think that is fantastic and I think that it fits perfectly to the magazine. Also I would like the magazine to work as a piece of a collection. I would like people to think of it as something you can put on your shelf like a book or a comic and keep it for ages. We’re in a camp based around ‘The Power of Storytelling’. 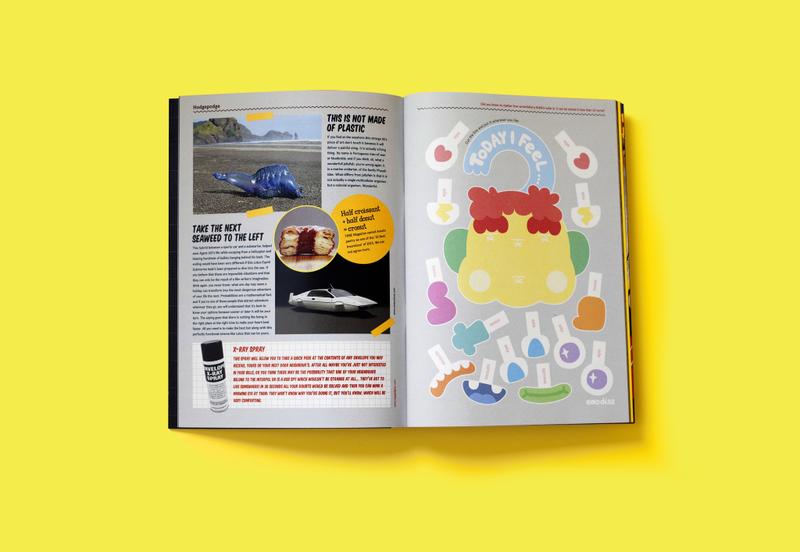 How do you think about the role of storytelling in Dodo Magazine? Dodo is all about storytelling and everything is a story! Not just the story of the magazine, being made by an extinct bird, but even the content of the magazine. Every piece and everything you can find inside is a story. It’s a tale, Dodo is a tale. With Dodo I want you to feel like you are under the sheets, reading it with a torch; like when you went to bed when you were a child, and you were reading stories that would take you to unknown places, that’s what the magazine is. I want people experience trust and doubt, to feel that even though they have the certainty that these things happened, maybe it’s the other way around and that they will never know what is a tale, what is not. You’re currently publishing Dodo magazine yourself. What has been your experience of self-publishing? I think now with the internet era, it is easier than it used to be to publish something. Getting to know the people who can help you make something, or getting tips, promoting your publication, and raising the money like we did with a crowdfunding campaign, it’s definitely easier. But at the same time I really feel like I’m doing the same thing that people did previously with fanzines. They were people who really wanted to publish something but they didn’t have the chance to work with a big publishing company. So I feel like I’m doing the same, but I got the chance to make it a little bit bigger. Dodo magazine is kind of a bigger fanzine, and a smaller magazine, so I’m in the middle. At the moment you can see amazing things in publishing. Magazines are no longer a just tools to get information; instead people are using Twitter and other social networks, so it’s not useful to buy a magazine or even a newspaper to read about current events. People who are making new magazines really have to think about why people would like to buy their magazine. A lot of new publications are appearing and they are fantastic because they are trying to see it in a different way. They are investigating other ways of telling stories, and then perhaps people buy it because of the aesthetics, or the paper, or the content. It is really exciting living when we are at the moment for publications because it is boiling. Every month you can see a new magazine, and that is really challenging. Magazines are not disappearing. Also, I don’t want to see Dodo as a 100 percent real magazine… A real magazine doesn’t start by just printing one copy, and giving it away! It’s not perfect, because I started the magazine without knowing anything and I have had to learn everything about how to make it. So I know it has a lot of mistakes, but that is also one of the things that is nice about the magazine. I think imperfection is sexier. When you see things in a perfect way, I think they are kind of boring, they are done. I think that Dodo is still making itself. How does Dodo Magazine fit with Dodo Laboratory? 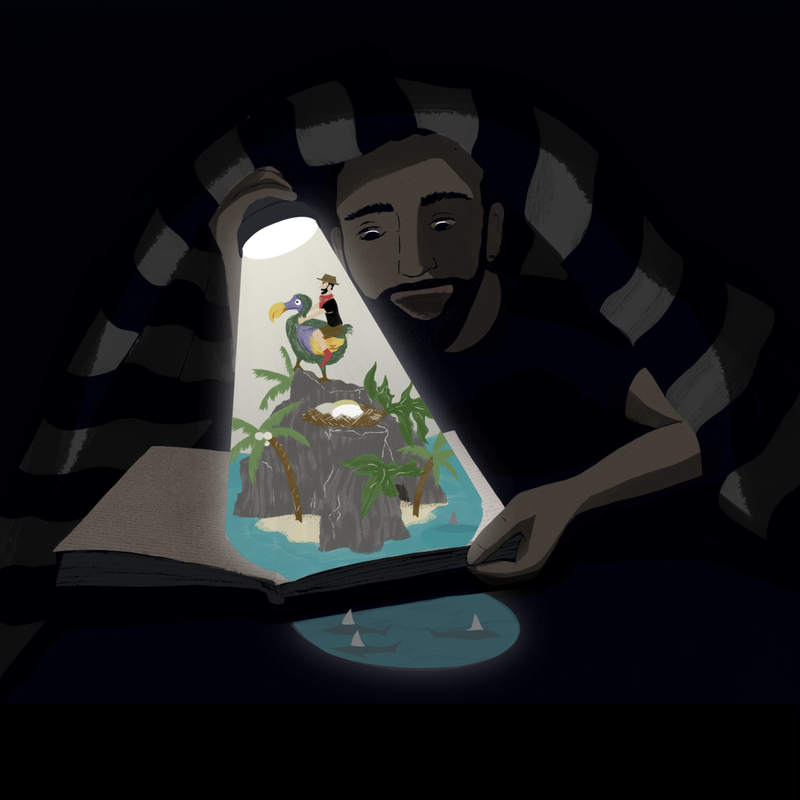 Is developing Dodo Laboratory a way to focus and support your publishing work? Dodo Magazine is how I started, but now it actually sits inside of Dodo Laboratory. Dodo Laboratory is another platform for me to be able to work on different projects, but also has the same creative and fun spirit like Dodo Magazine. The laboratory includes other people and means we can work with the writers, photographers and illustrators that work for the magazine, but can work on other projects like events, design, exhibitions, or working for brands or other clients. It means we can be a bit crazy, and make anything. I don’t want to close any doors and I want to open all the windows. It can be everything. What do you have planned for the future of the magazine and for Dodo Laboratory? For Dodo Magazine I am working on the future part of the Present/Future issue, which is almost done. I am also working on the third issue of the magazine, which for me is also something of a surprise, because I didn’t know that I was going to sell enough magazines that I would be able to print the third one. But lately I am seeing that maybe I am going to be able to! But I really feel like I want to continue with it. Every day I see that interest in the magazine is increasing, not just in the number of places where it is sold, but also in the reaction of the public, which matters to me more. With Dodo Laboratory, I want to keep exploring and finding ways to make fun work. I am working with three guys from France and Australia, and they are building a company in Berlin about collaboration in creativity. I am helping them in developing their campaign and I am pretty excited to be working for them. I am really open to working with different people, companies, and brands, people who come to me with a very exciting project. I want to put the brand Dodo Laboratory on it. Thanks so much Rubén! 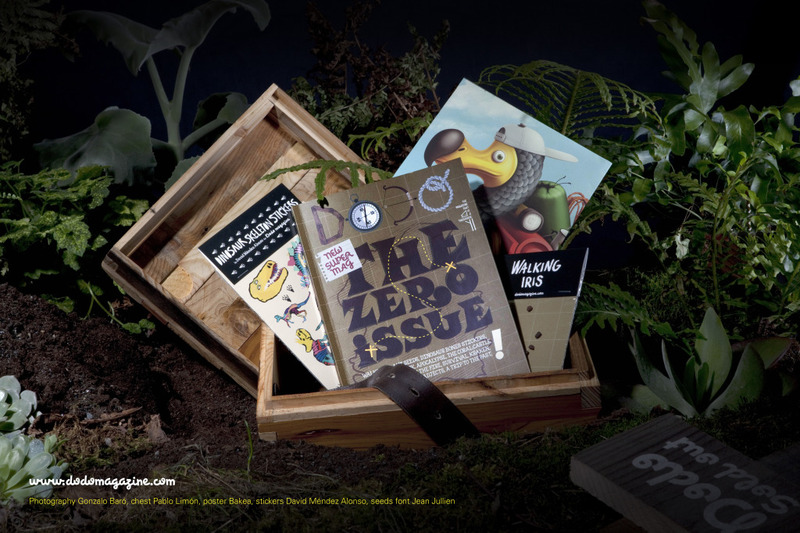 To find out where you can get your mitts on a copy of Dodo Magazine, check out the website. Also, Dodo Laboratory’s tumblr page.